7 Fearful Fryhtan Species and their Special Units & Powers. Play as Humans or Fryhtans. 12 Powerful Gods and Goddesses. Heroes to hire for each of the 12 human civilizations. 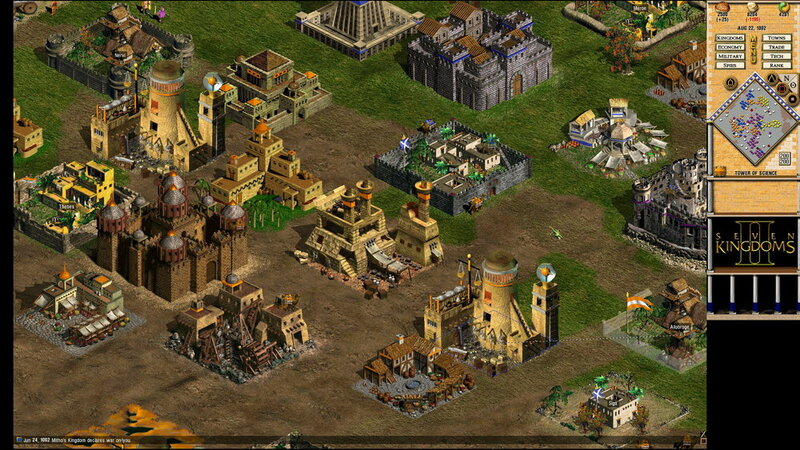 Build Industries & Trading Routes. 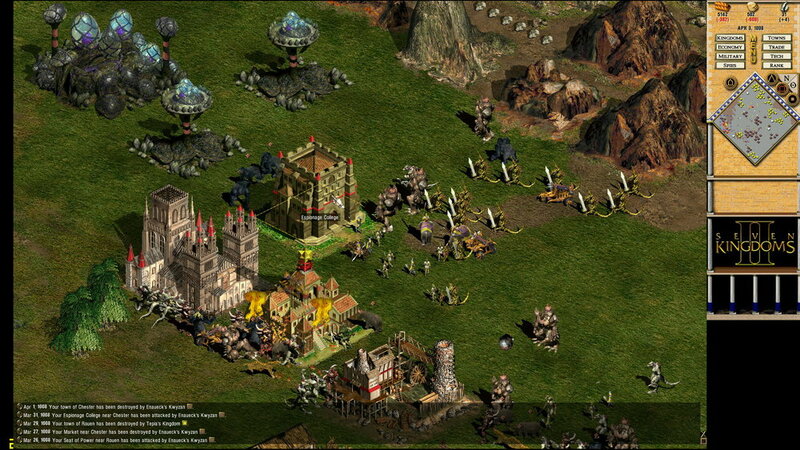 The game will automatically selects the high possible screen resolution supported by the user’s monitor. If the user wants to change to another resolution, the user may simply do so by clicking on the resolution indicator on the main menu. 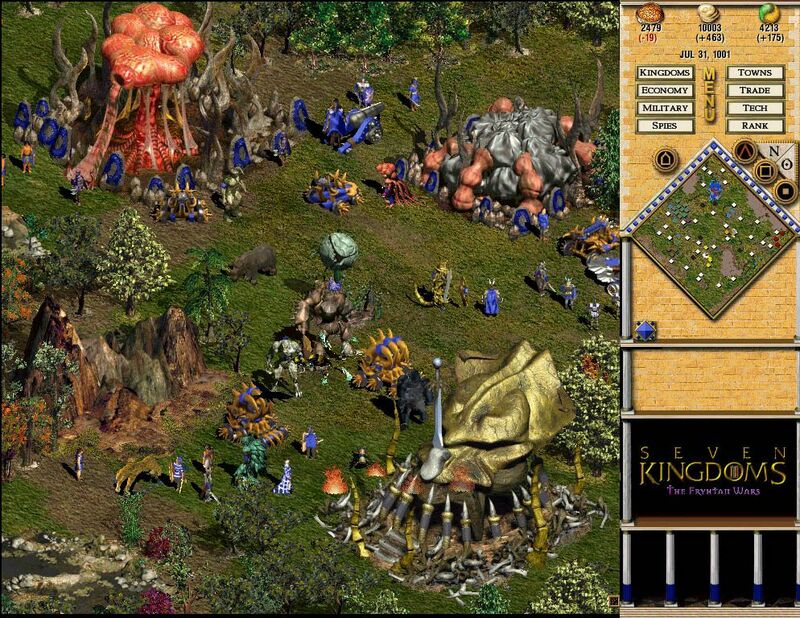 Large Map Mode Which Is 4 Times As Large As The Original Map. If New Independent Town Emerge setting is enabled, new independent towns will emerge more frequently thanks to the more spacious map. 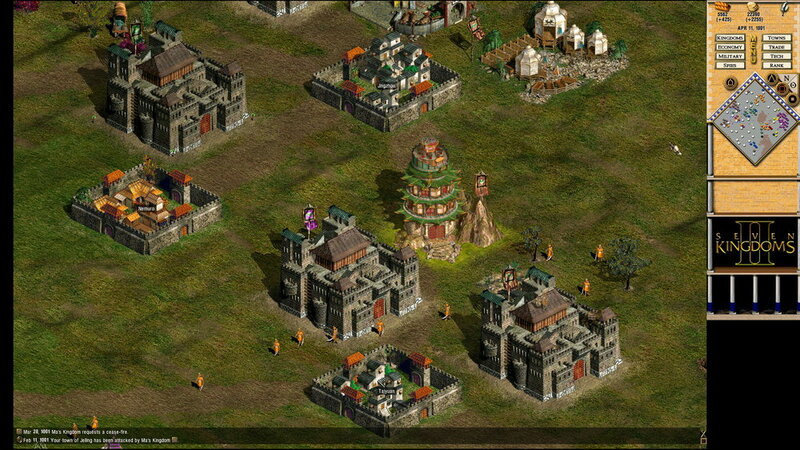 Some random maps will have more mountainous terrain which allows for more tactical possibilities. 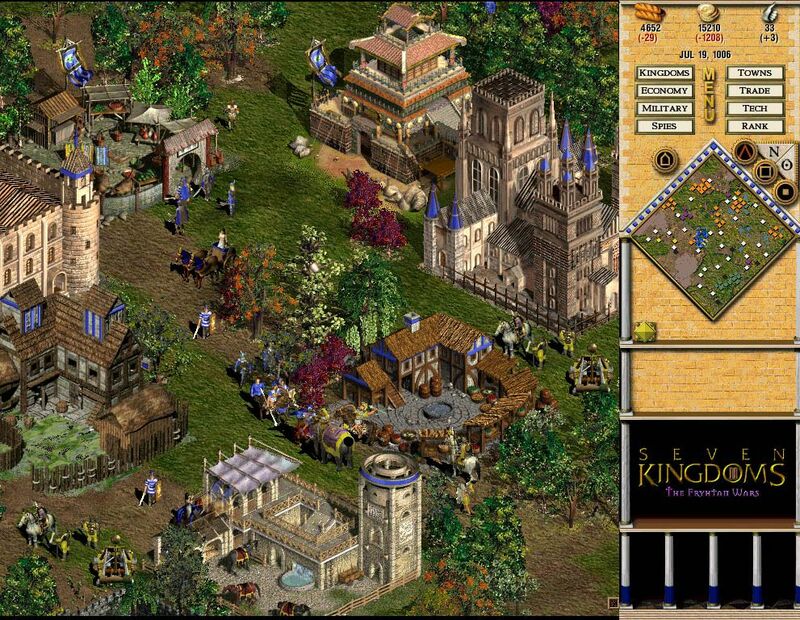 The music tracks in the classic Seven Kingdoms game are some of the most memorable music tracks in PC gaming. 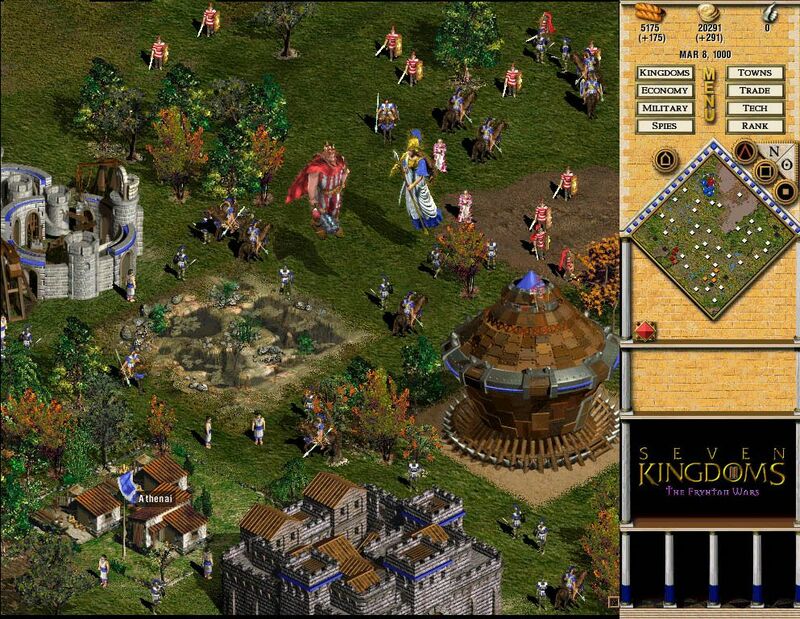 This time we have included 7 highly praised music tracks from the classic Seven Kingdoms, bringing the total number of music tracks in the game to 14.